More than just a chance to have fun, play is serious business when it comes to a child's health and development. From peek-a-boo to pat-a-cake and hide-and-seek to hopscotch, the many forms of play enrich a child's brain, body, and life in important ways. The American Academy of Pediatrics (AAP) clinical report, The Power of Play: A Pediatric Role in Enhancing Development in Young Children, explains how and why playing with both parents and peers is key to building thriving brains, bodies, and social bonds―all important in today's world. Research shows play can improve children's abilities to plan, organize, get along with others, and regulate emotions. In addition, play helps with language, math and social skills, and even helps children cope with stress. Despite its many benefits, statistics show that the amount of time children get to play has been declining for decades. Tightly structured family and school schedules, more parents working outside the home, fewer safe places to play, and rising media use and screen time are among the reasons. For example, research shows the average preschooler watches 4.5 hours of TV each day! To help keep play a key part of childhood, pediatricians may begin writing a "prescription for play" at every well-child visit through age 2. Pediatricians also advise parents to look for quality child care or preschool programs that include playful approaches to learning. Learning is best fueled by tapping into a child's natural urge to play, rather than just outside factors like test scores. As they actively engage with and joyfully discover their world, children gain 21st century skills that increasingly call for teamwork and innovation. Playful learning can start with a baby's first smile. Responding with a smile of your own is a form of play that also teaches a baby a critical social-emotional skill: "You can get my attention and a smile from me anytime you want―just by smiling yourself." Imitate your baby's coos and babbles and have back-and-forth "conversation" using your baby's sounds as a prompt. Show your baby interesting objects such as a brightly colored toy. Let her bring safe objects to her mouth to explore and experience new textures. Place your baby in different positions so he can see the world from different angles. Make sure your baby has a safe environment to crawl and explore. Give your baby opportunities to learn that her actions have effects—for example, when she drops a toy and it falls to the ground. Put a few toys within reach of your baby so he can take toys out and play with them. Use a mirror to show your baby her different facial expressions. When choosing childcare and preschools, look for those that include unstructured playtime. Playful learning, where children take the lead and follow their own curiosity, should be the main focus of high-quality early childhood education. Give your child blocks, empty containers, wooden spoons, and puzzles. Simple and inexpensive objects are some of the best ways to support a child's creativity. Remember, it is parents and caregivers' presence and attention that enriches children―not fancy electronic gadgets. Give your child opportunities to play with peers. This is a good age to try a parent-supervised playdate. Help your child explore her body through different movements—for example, walking, jumping, and standing on one leg. Provide opportunities for make-believe play—for example, pretending to drink out of an empty cup or offering toys that enable pretend play. Sing songs and play rhythms so that your child can learn and join in the fun. Begin to introduce some age-appropriate games like Simon Says. Allow your child to move between make-believe games and reality—for example, playing house and helping you with chores. Encourage your child to try a variety of movements in a safe environment—for example, hopping, swinging, climbing, and doing somersaults. Limit screen time to healthy levels. 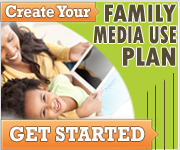 Age-appropriate media can have benefits for older children, especially if you watch and play with them. But real time social interactions and play are much better for children than digital media for learning. Encourage your child's school to offer recess and playful learning approaches in addition to more structured learning approaches like reading, memorization and worksheets. In addition to boosting a child's health and development, play helps to build the safe, stable and nurturing relationships that buffer against toxic stress and build social-emotional resilience. The mutual joy and one-on-one interaction that happens during play can manage the body's stress response, according to the AAP. In one study, 3- to 4-year-old children, anxious about entering preschool, were two times more likely to feel less stressed when allowed to play for 15 minutes, compared to classmates who listened to a story. When playing with an object such as a toy, babies are using their sensory-motor skills to explore its properties and conduct "experiments" like a tiny scientist might. To learn if an object is solid, for example, they might bang it on the floor. Preschool-age children also use objects to develop abstract thought and concepts like symbolism, using a banana as a telephone, for example, along with sharing and taking turns. Physical fun such as free play during recess helps develop children's motor skills, prevent childhood obesity and build emotional intelligence. The gentle thrill of a playground slide, for example, lets a child build confidence as they take risks in a relatively safe environment. Games such as duck-duck-goose and tag also help children build other socio-emotional skills such as empathy as children learn to be careful not to hurt others by tapping someone too hard, for example. Outdoor play, is particularly important because it lets children use all their senses to build skills like spatial awareness and balance. It can also improve a child's attention span. Studies suggest that young children in countries where schools allow more time for recess see more academic success as children get older, yet an estimated 30% of U.S. kindergarten children no longer have recess. Giving your child plenty of opportunities to play is one of the best ways to help them grow into curious, creative, healthy, and happy adults equipped with the skills they need today. Next time your child asks to play with you, jump at the opportunity! Share the joy of discovery as you connect with each other and the world around you.